Somehow, colorful tropical scarlet macaws from tropical Mesoamerica—the term anthropologists use to refer to Mexico and parts of northern Central America—ended up hundreds of miles north in the desert ruins of an ancient civilization in what is now New Mexico. Early scientists began excavating the large Pueblo settlements in Chaco Canyon in northwestern New Mexico and found the birds' remains in the late 1890s, but only recent radiocarbon dating of the physical evidence has pushed back the time period of sophisticated Pueblo culture by at least 150 years, according to a paper published today in the Proceedings of the National Academy of Sciences. Co-author and archaeologist Stephen Plog, the University of Virginia's David A. Harrison Professor of Anthropology, worked with Adam S. Watson of the American Museum of Natural History, Douglas J. Kennett of Pennsylvania State University and a team of researchers from the museum and other universities to have macaw bones dated and interpret the results. 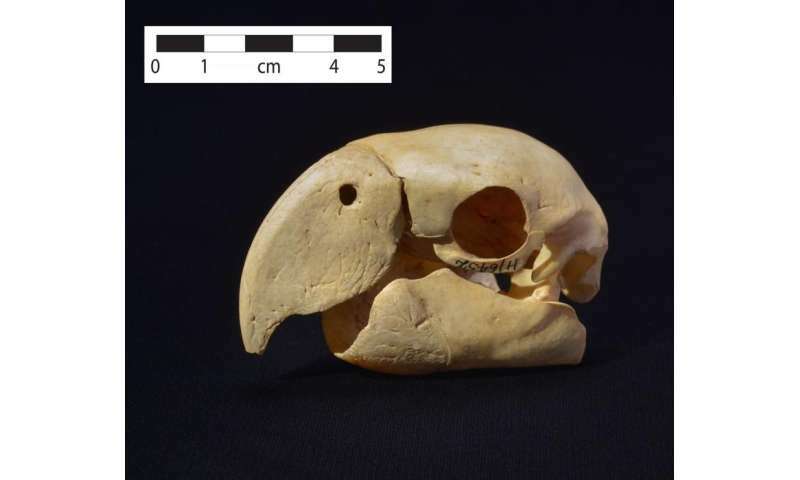 Using accelerator mass spectrometry radiocarbon methods with high precision in dating, the researchers found the macaw skeletal remains were much older than previously thought—from as early as the late A.D. 800s—signaling what researchers theorize was a Pueblo culture established enough to form relationships with Mesoamerican cultures to the south. 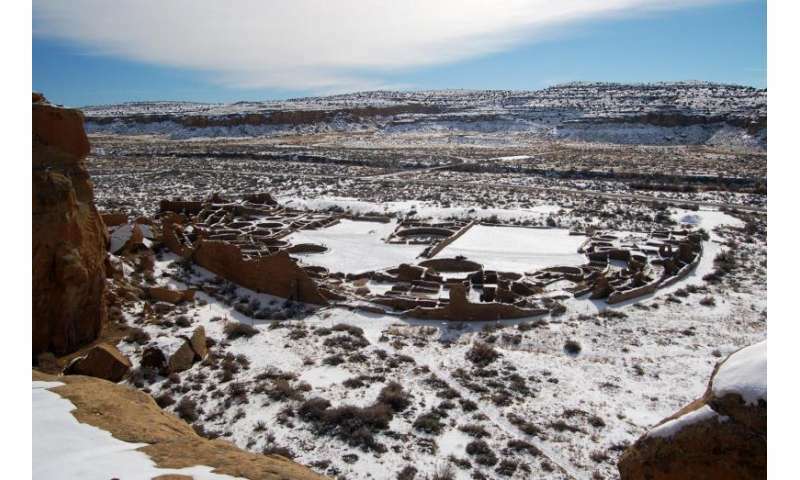 Plog said archaeologists had typically put the beginning of the apex of ancestral Pueblo civilization in Chaco at A.D. 1040, based on other means such as tree-ring dating that suggested a major architectural expansion began at that time. Anthropologists had already determined that the ancient Pueblo developed a complex social and religious hierarchy in the canyon, reflected in their distinctive architecture. They have posited that Chaco's 'golden century' or the Chaco 'florescence' occurred from A.D. 1040 to 1110, coinciding with a major expansion of the 'great houses.' These great houses contained clustered complexes of rooms for large gatherings, lodgings, storage, burial and religious rituals. Pueblo Bonito, with about 650 rooms in the largest of the great houses of Chaco Canyon, is where most of the macaws were recovered. architecture seen in the cultural center,' Plog said. The radiocarbon dating project, led by Plog, Watson, and Kennett, showed that the bird remains came from as early as the late A.D. 800s to mid 900s. The earlier dating suggests that the rise of Pueblo sociopolitical complexity developed earlier than previously thought. 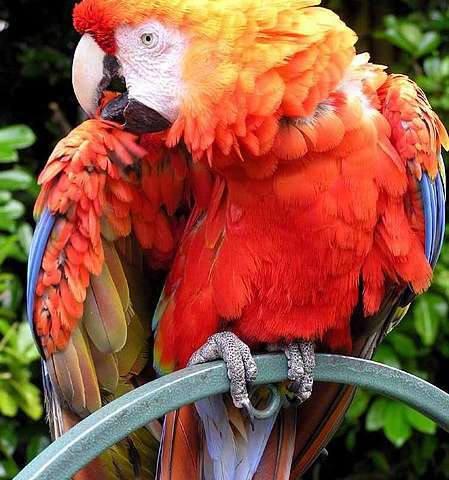 The scarlet macaw is a species of large parrot with red, blue and yellow feathers. The rare birds, which probably came from the Gulf Coast region of Mexico, were a sign of prestige and their feathers used in religious ritual, Plog said. The macaw remains, along with other items including turquoise, shells, and copper bells,,were concentrated in certain areas of Pueblo Bonito, the most extensively excavated great house, particularly an area that included the burial sites of elites who lived in Chaco Canyon's great houses. The great houses exemplify the distinctiveness of Chaco culture: their size and construction are unusual for early architecture of southwestern Native Americans, whose descendants include the Hopi, Zuni and the many Pueblo groups of the Rio Grande Valley. The structures were made of thick walls of carefully shaped masonry and reinforced with timber; some rooms were unusually large in area and four to five stories high. Pueblo Bonito could have housed up to 500 people, Plog said, although the population numbers are a topic of great debate, he added. How certain people obtained the scarlet macaws is the subject of conjecture. Archaeologists have several ideas about how relationships might have brought the exotic birds more than 1,000 miles north of their natural range in Mexico and other regions of Mesoamerica but no definitive proof has been found. 'There is no way to tell exactly how they got there,' he said. The birds did not appear to have thrived in the environment of Pueblo Bonito and other sites. Prior analysis of the bones by specialists found the macaws discovered did not live to adulthood. Plog speculated that the rooms they were kept in might've been too dark and cold. Scarlet macaw feathers were important as ceremonial objects for their colorful variety, not locally common among the area's native birds. The bright colors signified different directions, such as red for south and blue or green for west, for example, Plog said. The macaws, as well as studies of the human burial crypts, provide some of 'the earliest evidence of social hierarchy,' Plog said. High-status individuals would have controlled access to procuring these sacred objects and their ritual power, and likely had the religious knowledge needed to use them, Plog said. The religious beliefs of Pueblo and nearby indigenous populations have been well-documented and certain aspects continued for a long time. To this day, the Pueblo consider Chaco Canyon a sacred place, Plog said, and not much archaeological excavation is currently being done. Named a national monument in 1907, Chaco Canyon was added as a national historical park in 1980 and designated a UNESCO World Heritage Site in 1987. Parts of it are open to visitors. 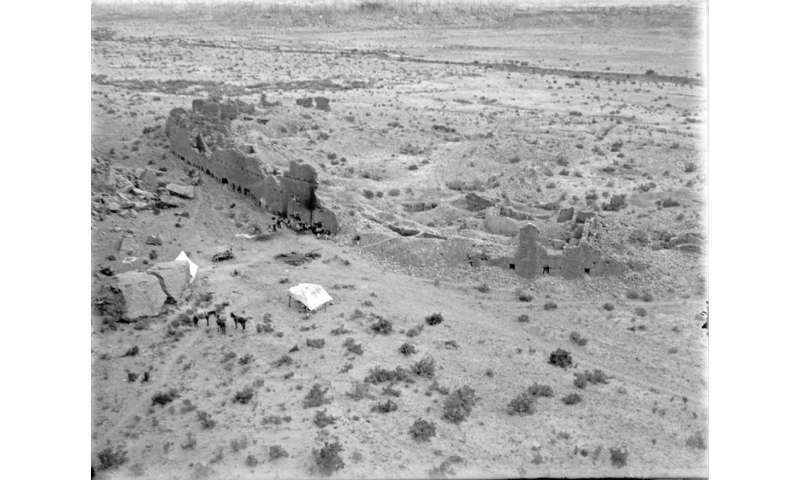 In 2002, Plog and other Southwest archaeologists founded the Chaco Research Archive to preserve the wealth of archaeological data and photographs that were collected, starting in the 1890s and continuing midway through the 20th century, from research conducted by the American Museum of Natural History, the National Geographic Society the Smithsonian Institution, and the University of New Mexico. With funding from the Andrew Mellon Foundation and support from U.Va. 's Institute for Advanced Technology in the Humanities, the Chaco Research Archive team has processed more than 15,000 images from these early excavations, created an architectural database of another 25,000 images, entered more than 40,000 specimens and described excavation data for over 500 rooms from multiple settlements. Ancient cultures were highly cosmopolitan.